� Powerful High Torque 1200 watt Motor. � Complete with External Coolant System and Protective Molded Carrying Case. 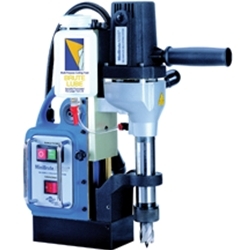 � Depth of Cut: 2"
AC35 - is a lightweight, powerful and economical magnetic drill press with a high-torque motor.